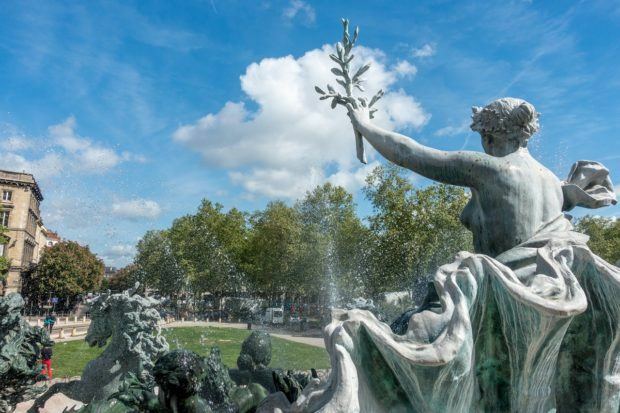 Exquisite architecture, fresh seafood, a vibrant city with an historic core, and some of the best wine in the world—in a nutshell, this is Bordeaux, France. Even better, the whole city is highly walkable, with pedestrian-only areas and welcoming squares. In less than an hour, you can also visit the beach or make your way to castle-like chateaux producing superb wine in fairy tale settings. There are so many things to do in Bordeaux that it would be easy to spend a few weeks exploring. 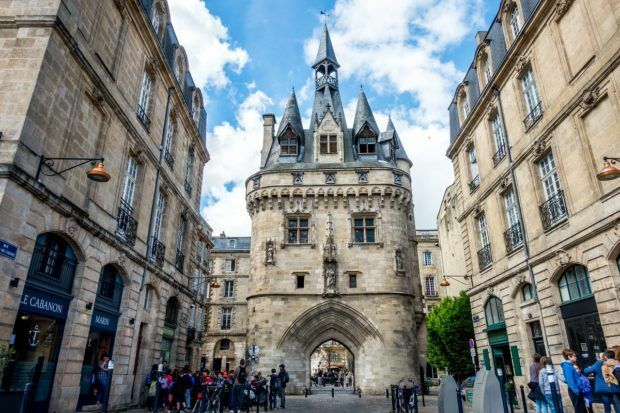 But, if your time is limited to a long weekend, it’s still possible to hit the highlights of this lovely region and see some of the best that Bordeaux has to offer. Bordeaux is both a city and a wine-growing region in southwestern France. First settled in 567 BC, some of the oldest ruins in the city that date from the 4th century can still be visited in the crypt below Saint-Seurin Basilica. Bordeaux flourished over the centuries thanks to the wine trade. The construction during its golden age in the 18th century is responsible for thousands of buildings that still stand today. 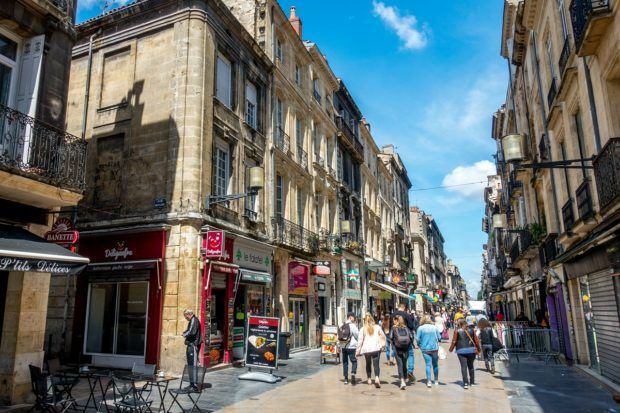 Bordeaux’s preserved architecture–which is second in France only to Paris–and its deep history are the basis for its designation as a UNESCO World Heritage Site. Though most wine drinkers have heard of Bordeaux wine, interestingly, no wine is produced within the city limits. Bordeaux’s wine region encompasses 65 appellations—such as Haut-Medoc, St-Emilion, and Sauternes—and more than 7000 chateaux. The wineries of the Bordeaux region are generally within a one-hour drive of the city of Bordeaux, making them easy to visit on day trips. Port Cailhau has been impressing visitors to Bordeaux for over 500 years. 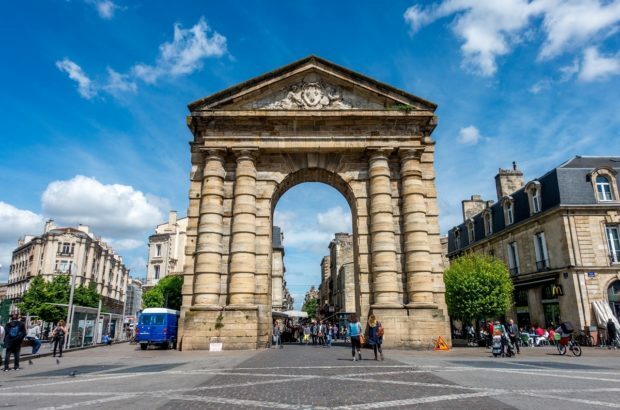 Once the city’s main gate, it has been almost unaltered from the time it was built and became part of Bordeaux’s fortifications in 1494. Now one of the most photographed places to visit in Bordeaux, Port Cailhau was both celebratory and defensive when it was built. It was an arc of triumph dedicated to King Charles VIII commemorating his victory at Fornovo, Italy. You can see a statue of the king—alongside St. John and the Archbishop of Bordeaux—on the river side of the gate. Inside the gate is a small museum that tells the story of the construction of Bordeaux’s medieval and Renaissance buildings from the limestone quarries. The exhibits are informative for anyone with an interest in architecture, and we loved the view of the city and the river from 115 feet up. At 31 acres, Place des Quinconces is the largest city square in France and one of the largest in Europe. 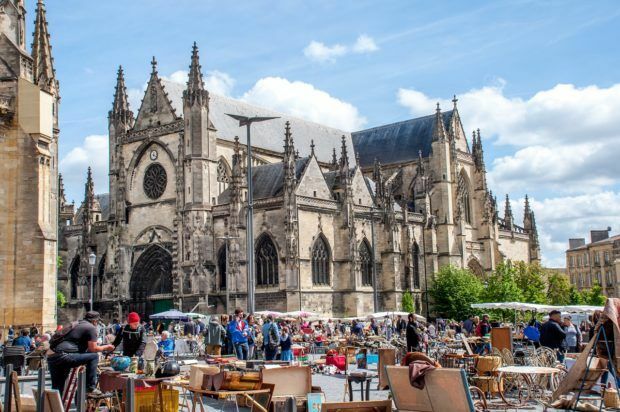 It’s often the home of outdoor concerts, festivals, and fairs, as we found during our visit when the twice-annual antique and flea market Brocante des Quinconces was on. Laid out in 1820 on the site of Chateau Trompette, a castle-fortress that once stood here, Place des Quinconces had a decidedly less lighthearted purpose when it was conceptualized. It was intended as a defense to prevent rebellion among the citizens, and the guns were pointed toward the city center, as opposed to enemies that might approach from outside. Now, it’s full of trees, fountains, and places to grab a bite to eat and relax, in addition to being a major transportation hub. 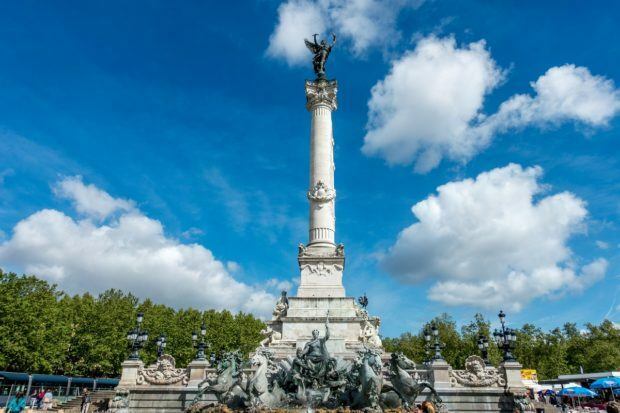 One site not to miss in the square is the Girondins Monument, which honors the Girondists that were victims of the Reign of Terror during the French Revolution. Its pedestal and fountain are decorated with large bronze horses and troops. The tall center column is topped with a statue representing the spirit of liberty breaking free from her chains. We’ve become huge fans of food halls and markets in places like Copenhagen and Ghent, so our hopes were high during our Bordeaux trip. Les Halles de Bacalan lived up to our expectations in every way. 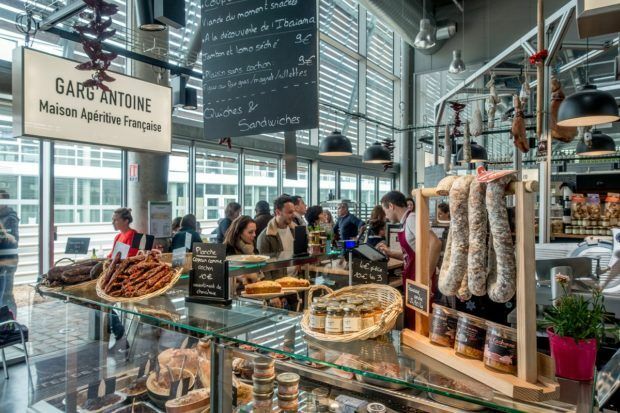 This modern food hall on Quai de Bacalan houses over 20 different merchants including butchers, seafood sellers, cheesemongers, a wine specialist, and more. There are lots of items to take on a picnic or consume on the spot. And, better yet, most things are local—85% of the products come from southwestern France. We visited twice—once for lunch and once during happy hour. It’s clear that people enjoy food and drink here like they do all over France—it’s not just about eating and drinking, it’s a social occasion. 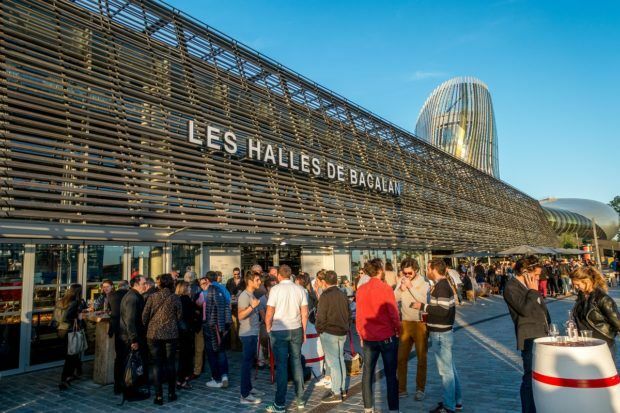 Throughout the kiosks and bars, family, friends, and colleagues cracked open champagne, sipped rose, and savored oysters, tapas, and the other delicious foods for sale throughout Les Halles de Bacalan. Our favorites were the bubble waffles from Black Duck. In addition to the food stalls and merchants, there are special events and collaborations all year long. 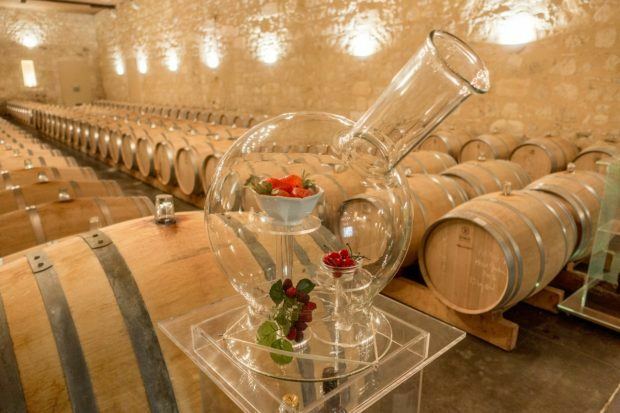 You can experience special tastings, cooking classes, and more, making it one of the fun things to do in Bordeaux for foodies. The Mirior d’Eau is one of the most popular Bordeaux attractions. Locals and tourists splash in its pool and relax on the banks of the river, picnicking, listening to music, and otherwise enjoying the ambiance. Even if you only have one day in Bordeaux, it should be at the top of your list. The Mirior d’Eau first opened in 2006 as a public art installation and has since become a mainstay of the city. It was even included as part of the UNESCO World Heritage Site designation for Bordeaux. 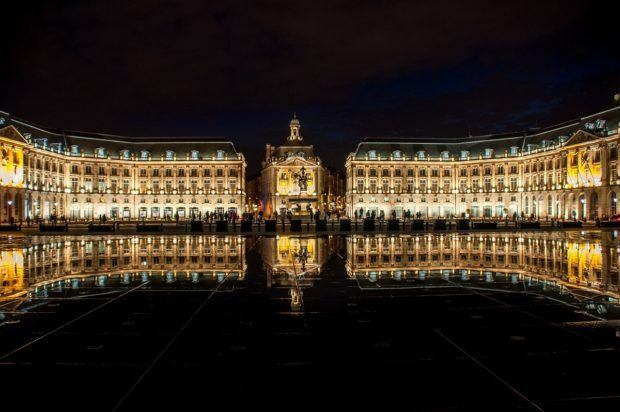 The largest reflecting pool in the world, the Mirior d’Eau is only 2 cm deep, but that’s enough water to create the mesmerizing mirroring effect that reflects Place de la Bourse just across the street. The 18th-century buildings and Fountain of the Three Graces that make up Place de la Bourse are some of the most recognizable sites in the city. From 10am to 10pm every day, the water moves in cycles of fog, mirror, and pool, creating different visuals over 26 minutes. Because of the length of the cycle and people enjoying the site, it can be a challenge to get a good photo without lots of people, so leave yourself a little bit of time, if that’s important to you. 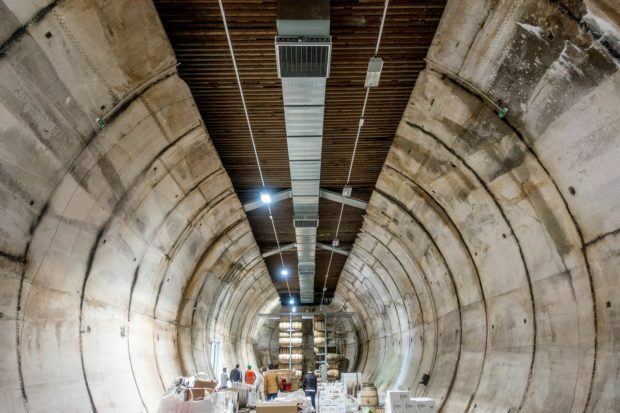 Not far from Les Halles de Bacalan and La Cité du Vin, Moon Harbour Distillery offers tours and tastings at its unique facility, a former German World War II submarine bunker. Too massive to destroy after the war, the unused bunker has been an eyesore for over 70 years in a newly developing part of the city. The distillery has changed all that, and a visit here is a must do in Bordeaux for whiskey lovers. Moon Harbour—the first whiskey distillery in Bordeaux—makes its products just a few feet from the bunker. Its blended whiskies and single malt come to life in the distillery and then move into barrels to age in the bunker. In used wine barrels from the area’s best-known wineries, the products take up residence in the concrete vault for anywhere from three months to three years and one day. 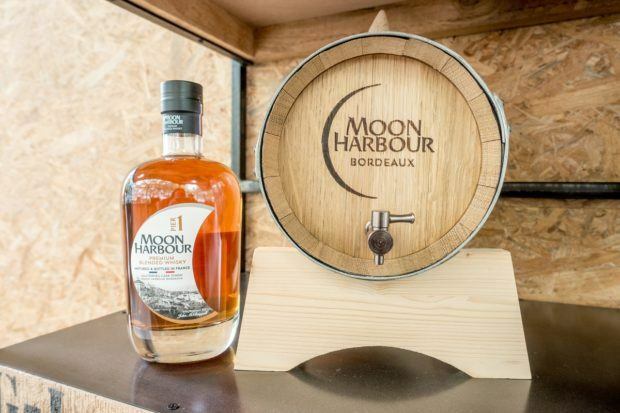 Seeing the barrel room is a cool enough reason to go to Moon Harbour (not that we needed a push to visit a craft distillery) when you visit Bordeaux, but a tour also includes a look at the stills and a product tasting. The grain and the stills themselves are local to Bordeaux, and as with the other French distillery we’ve visited, Maison Manguin in Avignon, you can see each step of the production. During our visit, we tried three products. The two whiskies included the easy-drinking Pier 1, which is aged for 3 months in Sauternes casks, and the Pier 2, which is aged in St-Emilion casks that impart smoky notes. We also loved the Moon Gin, a London dry style gin infused with botanicals such as juniper, goji berry, and coriander. They have since released a rum, and their aged whiskey is slated for release in 2020. The Basilica of Saint Michael is impossible to miss because you can see its famous bell tower piercing the sky from just about anywhere in the city. The Basilica itself was built from the late 14th century through the 16th century. The interior of the Gothic church is worth a visit for its pulpit that shows St. Michael slaying the dragon and its 17 side chapels, but it’s the view from the bell tower that’s the real draw. The freestanding 15th-century bell tower in front of the church soars 375 feet in the air. Known as La Flèche to the locals, it’s the second tallest bell tower in France after Strasbourg Cathedral’s. Climb up the tower for a great view of the city, one of the best things to see in Bordeaux. If shopping is your thing, Rue Sainte-Catherine is the place to go. At 3/4 of a mile long, it’s the longest pedestrian shopping street in Europe. Rue Sainte-Catherine has over 250 stores—including high-end options, French brands, and bargain stores—along with cafés and restaurants. Even if you’re not shopping, it’s a nice place to relax in a café and do some people watching. 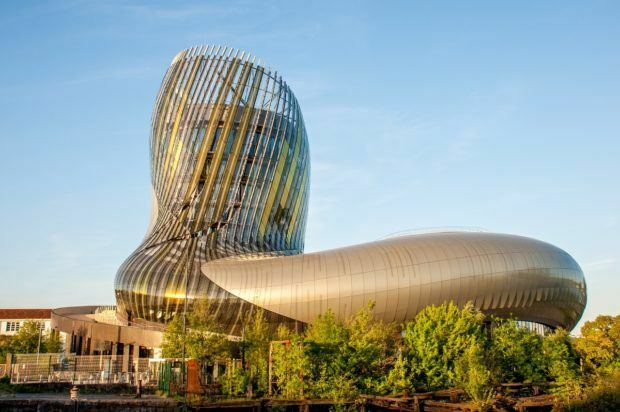 La Cité du Vin (“The City of Wine,” in English) is Bordeaux’s love letter to wine. It’s fitting that one of the best wine regions in the world is home to one of the best museums in the world—not just wine museums, but museums, period. 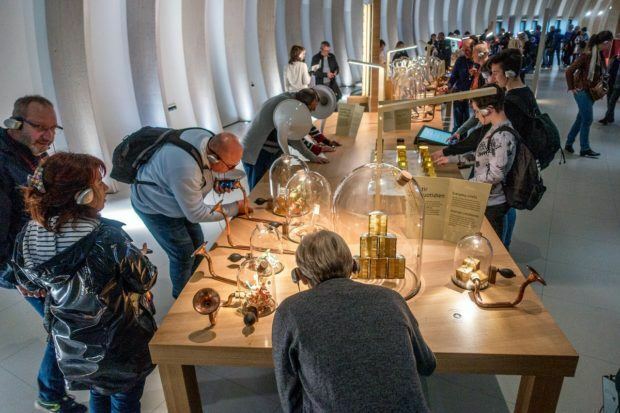 La Cité du Vin is completely interactive. You simply wave your audio guide in front of a panel, and you’re transported into the middle of the exhibit. That may mean sipping wine with vintners from the Middle Ages or identifying the aromas commonly found in fruity white varietals. There’s plenty to scratch, sniff, and see. In one room, you nearly lie down as the vineyards of the world surround you. The museum goes well beyond Bordeaux wines. It covers the history and the process of wine making from its origins millennia ago, and it highlights what makes different wines around the world special. All the education gets put to good use by the end of the visit when you can sample several wines of your choosing from the bar with gorgeous views over Bordeaux. During our visit, they offered a couple of local selections, but there were also wines from Cyprus, the Czech Republic, and other unexpected wine regions. In addition to the museum, La Cité du Vin hosts classes and special events. There are wine tasting workshops—often with cheese, chocolate, or other delicious bites—happy hours, and even performances. 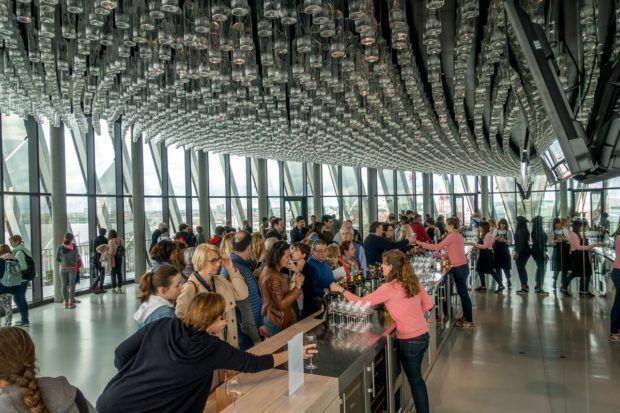 La Cité du Vin is one of the busiest Bordeaux tourist attractions. 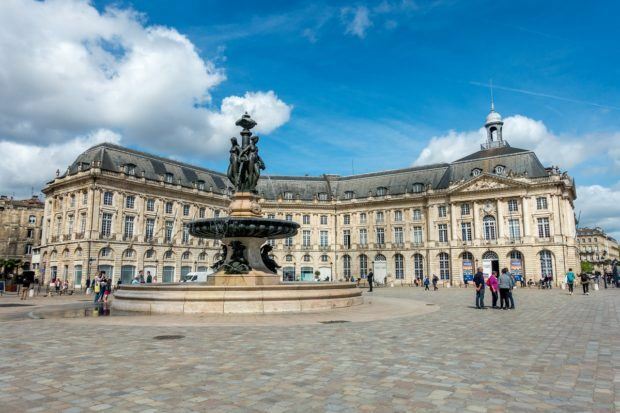 We went early on a weekend morning in the spring, and it was packed, so plan your time accordingly if the museum is on your Bordeaux sightseeing list. 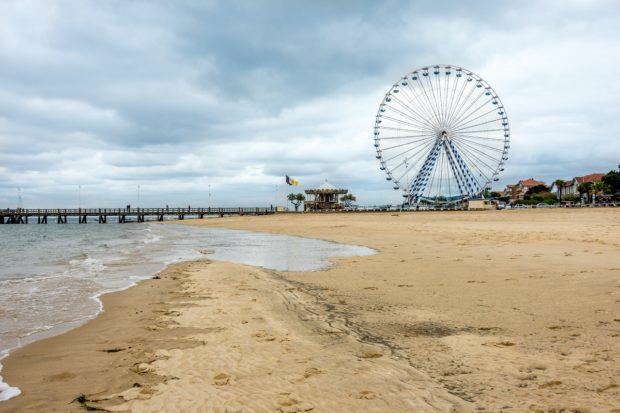 Without fail, every time we told a local we were planning to visit Arcachon, they let out a happy sigh followed by a big smile and, “you’ll love Arcachon…and you must visit the dune!” They were right. About an hour from Bordeaux on the Atlantic Ocean is the paradise of Arcachon. This beach city with golden sand and clear water is made for swimming, shopping, relaxing, and oyster eating. The 350 oyster farms in Arachon Bay are small producers selling almost entirely to locals and nearby restaurants. 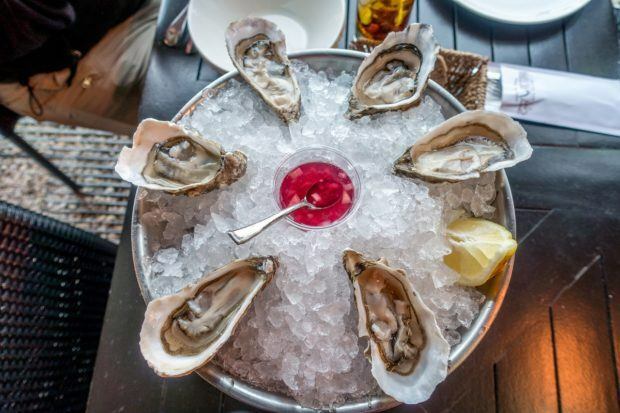 Without middle men or exporting, the oysters are some of the freshest you’ll ever taste. Finding a seaside spot to enjoy a platter along with a white Bordeaux or bubbly is one of the main activities here. 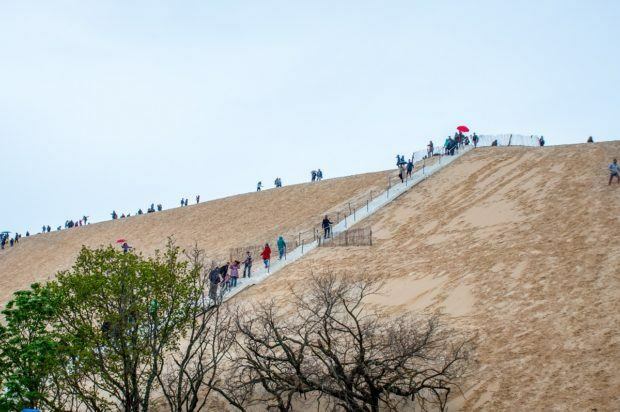 Nearby, you’ll find the Pilat dune, the highest sand dune in Europe. From the 350-foot-high summit you get panoramic views of the bay, the point of Cap Ferret, and the sprawling pine forest. The weather wasn’t on our side the day we made the trip (Lance braved it in the rain), so it’s high on our list for next time. We love visiting markets when we travel because they give us a chance to interact with locals and because of the ambiance—people are almost always happy when they’re shopping and eating good things. In Bordeaux, you can have this experience almost every day of the year. Thirty markets around the city feature food, flowers, clothing, crafts, and books year-round. Marché des Capucins is the city’s largest market, and visiting it is one of the top things to do in Bordeaux. With all the things you’d hope for from a French food market like pungent goat cheese, herbs, and fresh produce, it’s a great place to pick up Bordelaise specialties and reminded us why we once planned a whole trip devoted to visiting the colorful markets of the South of France. Another good option is the Quays Market that happens every Sunday morning on the banks of the Garrone. More than 60 food stands supply locals with their week’s shopping, and there are plenty of places to sample the wares. If you aren’t able to visit Arcachon, a local market like this is an ideal place to try oysters affordably. We enjoyed the outdoor market Marché Royal at Saint Michel. Every Saturday, food stalls, food trucks, crafts, and flea market vendors put on this huge market with over 150 sellers. The quality is high, and the smells are enticing. 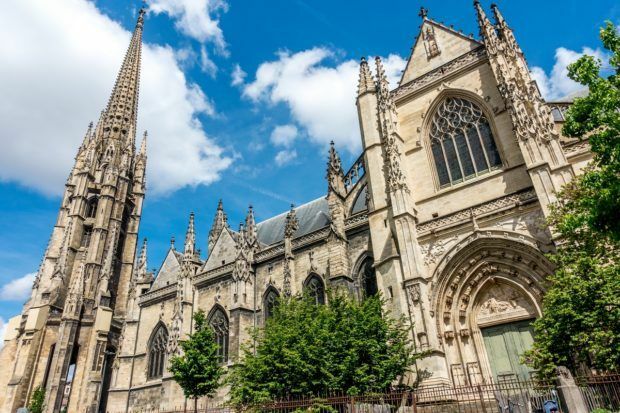 For nearly 1000 years, a church has stood on the spot of Cathedral Saint-Andre in the heart of Bordeaux. A witness to a vast amount of Bordeaux’s illustrious history, most of the current structure was built between the 12th and 14th centuries. 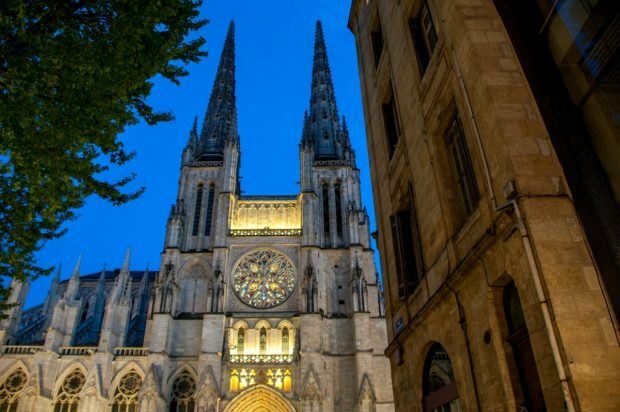 Cathedral Saint-Andre is the seat of the Archbishop of Bordeaux and is renowned as the place where 15-year-old Eleanor of Aquitaine married Louis VII in 1137, shortly before she became Queen of France. As with other grand French cathedrals, Saint-Andre has magnificent vaulted ceilings and stunning stained glass. Because it is still a working church, the interior is only open to the public briefly on Wednesday and Saturday afternoons. If the cathedral isn’t open, visit its freestanding bell tower. 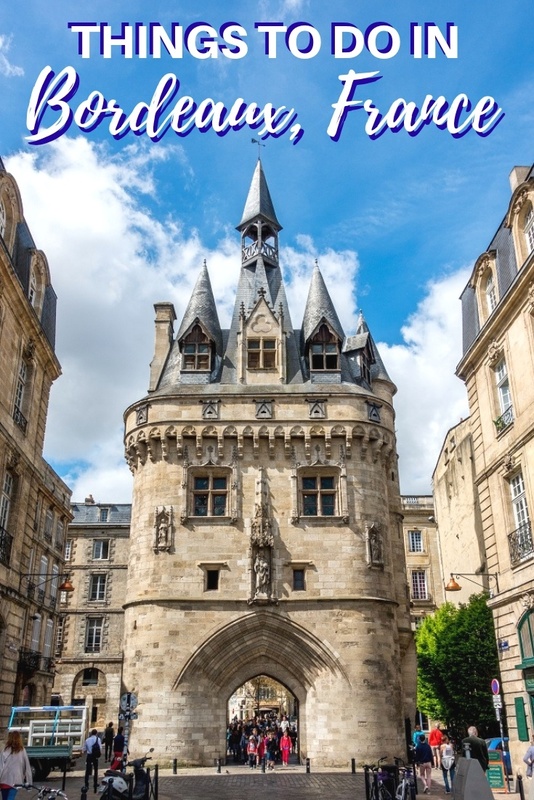 Tour Pey-Berland next to the cathedral is a Bordeaux must see. Built in 1440, heading up its 229 steps offers another spectacular view over the city. The main purpose of the Quai des Marques is shopping. On Sundays, it’s the home of the Quays Market mentioned above, but it’s also a mall with 34 boutiques, furniture shops, and cooking stores. We loved it best for the view and the promenade, though. 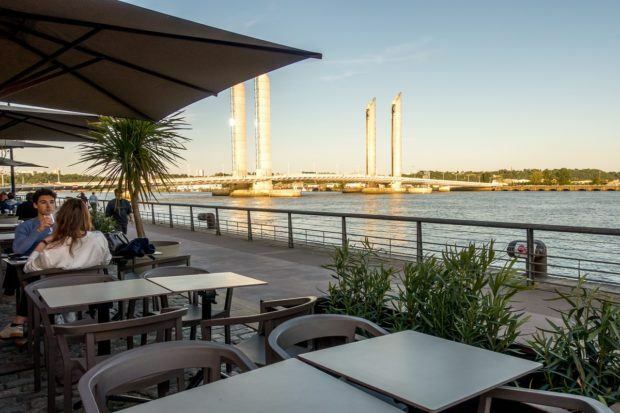 At the Quai des Marques, there are more than 10 cafés where you can grab a waterfront table and just relax with coffee or one of Bordeaux’s finest wines in-hand while enjoying the river. Happy hour and weekends are the busiest times with friends and families meeting up to enjoy the nice weather, hang out, and bike and roller blade along the water. The sloping, cobbled lanes of Saint-Emilion have welcomed visitors for centuries. 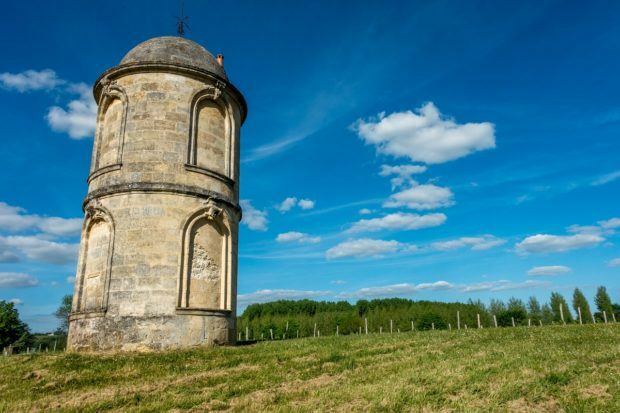 Just a 30-minute train ride or 45-minute drive, this ancient village is an ideal location for a day trip from Bordeaux. 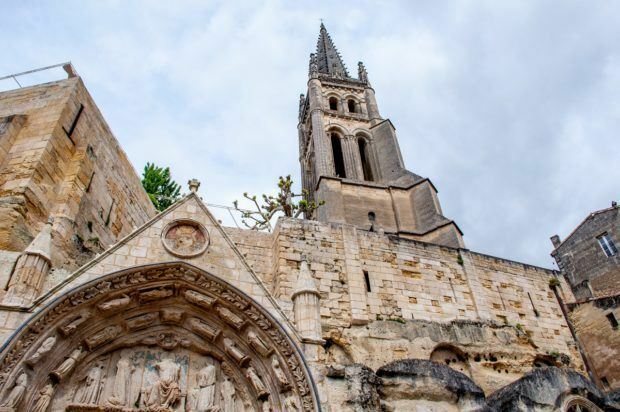 Saint-Emilion is renowned primarily for two things—its Monolithic Church and the rich red wines produced in the surrounding area. The hulking underground church was dug out of limestone in the early 12th century in honor of the hermit monk Emilion who lived in a cave on the site 400 years earlier. The tourism office runs daily tours of the church, the catacombs, and related sites, which is the only way to get an inside look at this part of the village’s history. In addition to the tour, the village of Saint-Emilion itself is lovely. Wander the steep alleys, visit the shops, and take in the views. L’Envers du Décor is an excellent option for lunch, and you can stop by the historic Les Cordeliers cloisters to enjoy the grounds and taste their range of Crémant de Bordeaux sparkling wines. 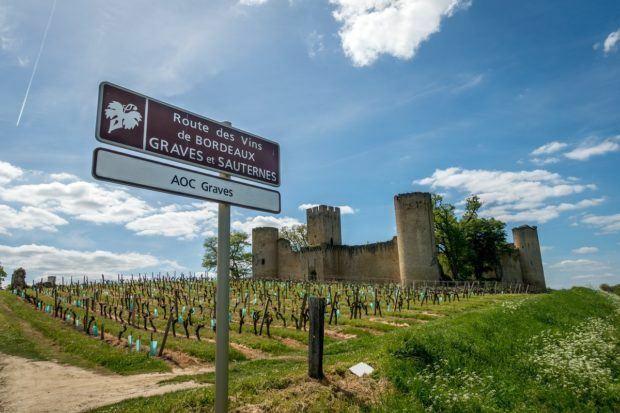 There are nearly 1000 chateaux to choose from in Saint-Emilion, and the tourism office can suggest a few that are open the day of your visit, if you’re not able to make plans in advance. 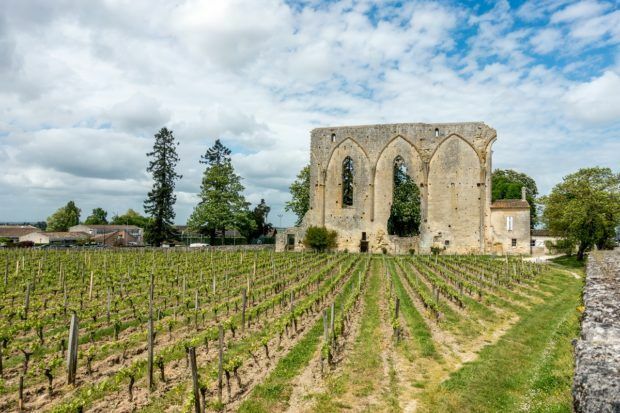 The first weekend of May—as we found by happy accident—is Saint-Emilion Portes Ouvertes (“open doors,” in English), a time when many chateaux open for tours, tastings, and special events without the need for reservations. It’s an ideal time to visit if you want to taste lots of Saint-Emilion wines. As with many famous wine regions in Europe (there are exceptions such as Alsace), Bordeaux wines are classified by location rather than by grape. That means that instead of a Merlot or a Sauvignon Blanc, you’ll find a Saint-Emilion Grand Cru, which is a blend of Merlot, Cabernet Franc, Cabernet Sauvignon, and Malbec. 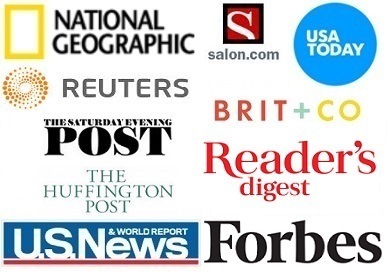 That can make wine tasting a little confusing if you’re not a wine expert, but, luckily, the experts are very happy to help. Over 90% of Bordeaux wines are red wine blends made from Merlot and Cabernet Sauvignon plus a small percentage of other grapes. They are medium- to full-bodied. The white wines in Bordeaux are a blend of Sauvignon Blanc, Semillon, and sometimes Muscadelle or others. They range from light and citrusy from Entre-Deux-Mers to sweet from Sauternes to aromatic and dry from Graves. Most chateaux in Bordeaux require reservations to visit, and the appointments are generally individual. Visits are often about an hour, though they can run up to 90 minutes, so it’s helpful to leave some extra time if you’re visiting several in a row. 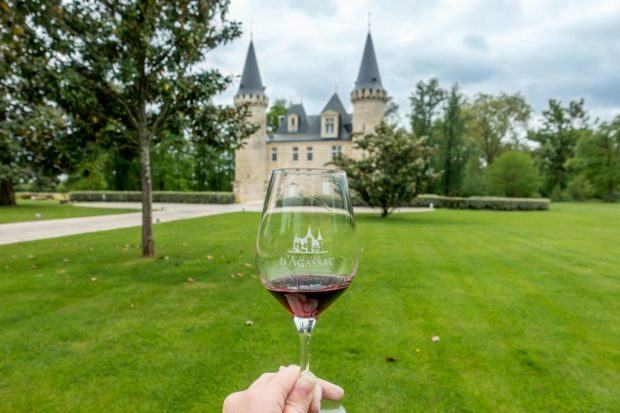 Some chateaux also have on-site restaurants featuring wine pairings, which is an unforgettable experience, if you have the time in your schedule. There are thousands of wineries to choose from across the Bordeaux wine region. They vary in age, size, facilities, and the wines they produce. Our goal on our Bordeaux trip was to try a variety of reds and whites of different appellations. If you’re short on time, you may taste more by focusing on visiting a few chateaux in one region. These are the chateaux we particularly enjoyed. 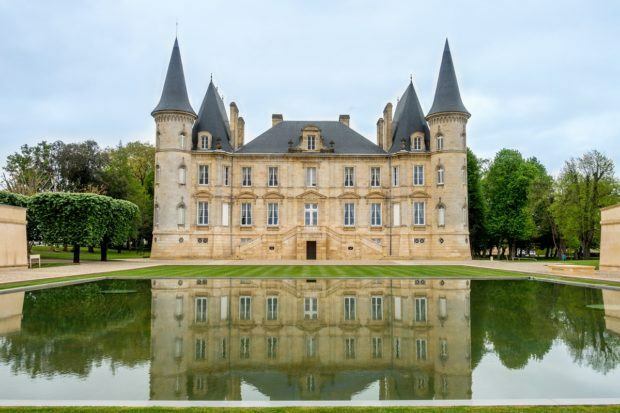 Commonly referred to as Pichon Baron, this castle-like chateau in the Pauillac appellation is one of the finest estates in Bordeaux. Founded in 1694, the property has been in its current state since the 1850s when the grand chateau was built and the land was divided among siblings. With 73 hectares of Cabernet Sauvignon, Merlot, Cabernet Franc, and Petit Verdot along the Gironde estuary, Pichon Baron produces renowned wines made for aging. A tour includes a walk through the vineyards, a visit to the barrel room, and a look at the history of the estate. It’s an excellent opportunity to taste full-bodied, rich, tannic wines that might otherwise be beyond many people’s price point (bottles begin around $100 and extend beyond $3000). Visiting Chateau d’Agassac, a Haut-Medoc estate, is a dream. Just 20 minutes from the city of Bordeaux, the chateau evokes a fairy tale feel, complete with a moat surrounding the property. Chateau d’Agassac was built in the 13th century and the winery was established in 1792, making it one of the oldest chateaux in the Medoc. 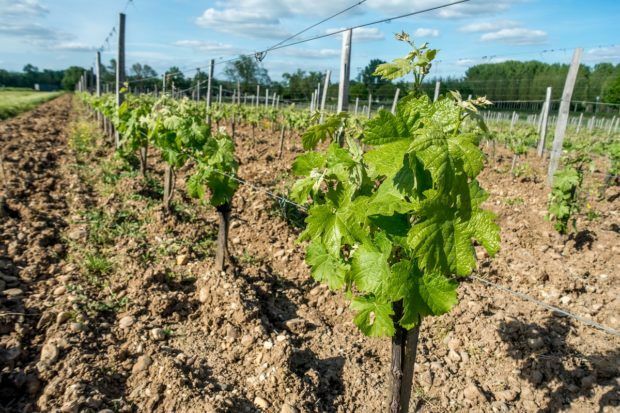 Today they grow 43 hectares of Cabernet Sauvignon, Merlot, and Cabernet Franc that go into their five wines, some of which have been named among the best in the world. The tour includes a look at the grounds and the winery’s efforts to keep both the estate and the wine as natural as possible. Along with a tasting in the old pigeon tower, we visited La Table d’Agassac, the winery’s exceptional restaurant that serves a three-course lunch or dinner in the chateau. Located in the Graves region, Chateau de Portets produces both red and white wines from the grapes grown on the property. The site is full of history—the chateau itself is built on the site of an ancient fortress and for 200 years was the home of the Baron of Portets. With an important river port on the property, the Chateau played a role in local commerce for centuries and welcomed prominent people like Napoleon and Jean-Jacques Rousseau. The tour of Chateau de Portets includes interactive components showing how they plant, monitor, and harvest their vineyards, as well as their aging process. A family-run winery since 1956, the enthusiasm for their business and sharing their love of wine is evident in every step. After visiting the barrel room and tasting three wines, we wandered the beautiful grounds along the river and saw the 14th-century tower. Chateau Filhot, an estate in the Sauternes region, dates from the mid-1600s. It has been run by the same family since before the French Revolution, a rarity in Bordeaux. About 20% of the estate’s 350 hectares are dedicated to growing Semillon, Sauvignon Blanc, and Muscadelle. 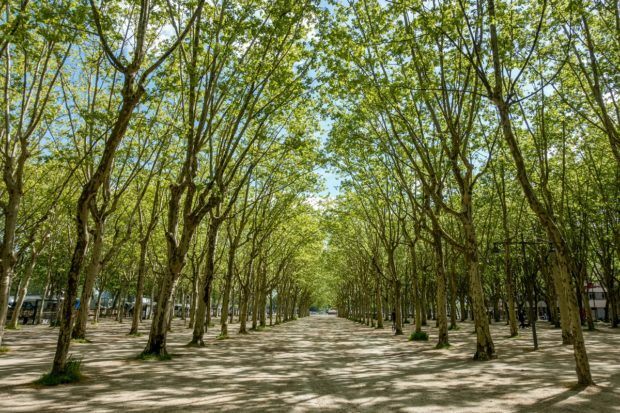 The remainder is forests, parkland, and lakes, which makes it a beautiful place to visit and a great location for the concerts and other events the Chateau hosts throughout the year. 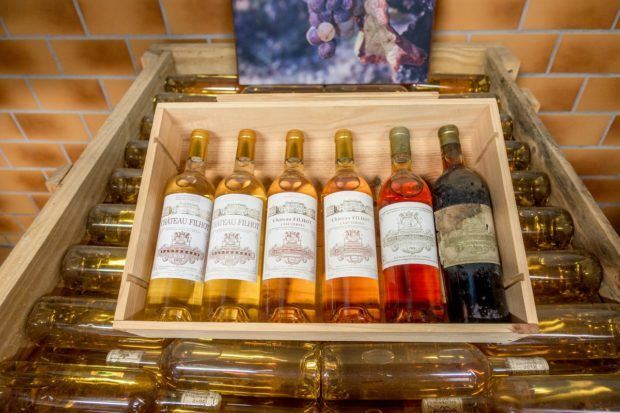 Sauternes is a unique sweet wine that results when the sugars in the grapes are concentrated by botrytis cinereal, also known as nobel rot. Chateau Filot makes several different wines, including its signature, oak-aged Chateau Filot, its second wine Chateau Pineau du Rey, and a lighter third wine called Zest that is often drunk as an aperitif. We bought several bottles to drink now and to age for a few years. 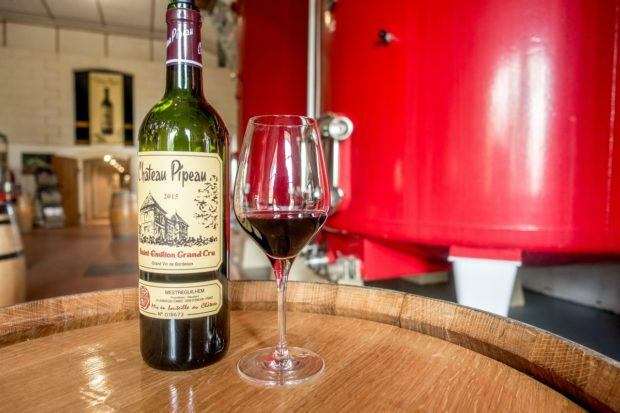 The newest winery we visited on our Bordeaux trip, Chateau Pipeau, is in the hands of fourth-generation wine makers, which tells you a lot about the deep history of wine production in the region. Founded in 1929, Chateau Pipeau produces Saint-Emilion Grand Cru at their 25-hectare, Right Bank winery. As with the other chateaux, a visit to Pipeau included a look at their production facilities, vineyards, and barrel room. The estate itself is modest compared to some of the regal sites we visited, but the wine is some of the best in the appellation. In addition to the Grand Cru, we tasted an Entre-Deux-Mers AOC Bordeaux from Chateau Joinin, another winery run by the same family. Less than 2 miles from the old town of Saint-Emilion, Chateau Pipeau is a perfect spot for wine tasting on a day trip to the region. For most people, the easiest way to get to Bordeaux is by air. The major carriers flying to Bordeaux-Merignac Airport are Air France, British Airways, Delta, and KLM. 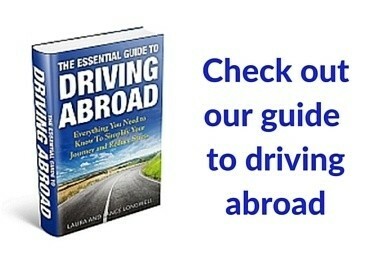 Low-cost carriers easyJet and Ryanair also offer service from select locations. Bordeaux is just two hours from Paris on the high-speed TGV train.